I was listening to a sermon by Pastor Jim Shaddix, a guest speaker at Long Hollow Baptist on Sunday, October 18. What a powerful word! I have been so moved and convicted after hearing his sermon. I want to share some of the highlights from his sermon with you today. Listen if you have a chance. I have attached the link below. It is one of the most convicting sermons I have ever heard. Pastor Shaddix says that the gospel gets convoluted in our Christian culture. It is vitally important that we understand what the gospel means and what it produces in our lives. Why in the world did Jesus tell them not to tell anyone? Peter had just declared who Christ was. And Jesus confirmed it and praised Peter for his revelation. Isn’t that exactly what Jesus wanted the world to know? Yes! But there was a problem. The problem was the disciples. Matthew 16:21-23 says, “From that time on Jesus began to explain to his disciples that he must go to Jerusalem and suffer many things at the hands of the elders, the chief priests and the teachers of the law, and that he must be killed and on the third day be raised to life. Yes, the Lord would build his church on Peter, the rock, and He would use his disciples to spread the good news of the gospel to the ends of the earth, but they weren’t ready yet. Pastor Shaddix says that the problem was that Peter’s gospel didn’t have a cross in it. Jesus began to tell them that He was indeed the Messiah, but a Messiah who had come to die, and in three days rise again. When Peter heard this, he took Jesus aside and rebuked Him. Peter didn’t think that was the way that the Savior of the world should talk. That wasn’t “Son of God” rhetoric. A gospel without the cross is not the gospel. A gospel that is simply a confession of the identity of Christ is not a complete gospel if it is devoid of the cross. Pastor Shaddix argues that we are still taught gospels that do not have the cross in them. We confess He is Lord, Savior, and Messiah. And all that is good…but not complete! 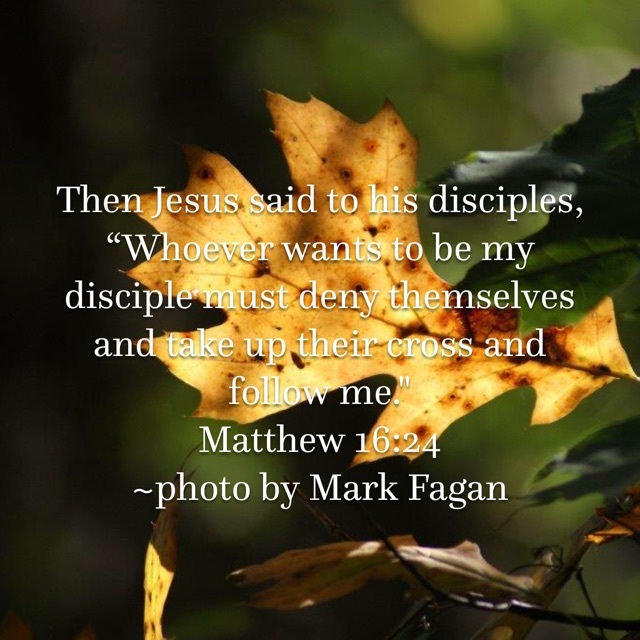 If the gospel doesn’t have the cross, it will be a stumbling block to authentic discipleship, a hindrance to becoming a true follower of Jesus Christ. If it’s going to be a gospel that saves, sanctifies, and changes lives, it has to have the cross of Jesus Christ. Not only does the gospel have to have the cross of Christ, but believing and following the Son of God also has a cross for us. We have to pick up our own cross. Pastor Shaddix says that the gospel is not something we just ADD to our lives. When we truly encounter Jesus Christ, that gospel changes everything. It is exclusive. We cannot have it both ways. He says that there’s danger in American churches of the cultural Christianity atmosphere. The danger is the lie that is preached that we can become a disciple of Christ and just tack it on to everything else in our lives. Many people are living that lie. They order their own lives. They dream their own dreams. They go their own direction. They make their own to-do lists. They fill up their calendar. And they just add Christianity to it. And that gospel has nothing to do with denying self and taking up the cross. So what has it cost you to sign up for this gospel? How is your life different because of the gospel? Is your life completely driven by the gospel of Christ? We cannot dictate our own lives and still have Christ. It’s determinative. The crucified life is the heart of true authentic discipleship. This gospel becomes our life. There is a cost to this gospel. It cost Jesus His life. It will cost you yours too.